If you are anything like me then dessert typically comes from a bakery rather than my own kitchen. Sweet stuff intimidates me in a way that savory dishes don’t. So I’ve learned to adapt our favorite recipes by adding my own brand of spiciness. Inspiration comes from recipes like this vanilla rum panna cotta. My version is a Spiced Chocolate Panna Cotta. Whipping up an indulgent, yet simple dish gives my confidence a little boost! To me panna cotta just sounds like a complicated dish. It’s not though. You simply thicken a flavored cream base with plain gelatin. 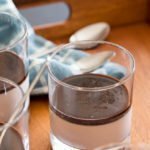 Nothing too fancy except this Spiced Chocolate Panna Cotta recipe uses whole milk yogurt in addition to heavy cream. It’s nice an tangy especially with the chocolate. In this case I added cocoa powder, nutmeg, and a hint of cayenne pepper. Once the custard is done, cool and cover loosely with plastic wrap. Then let it set up in the refrigerator for several hours. Or ideally overnight. 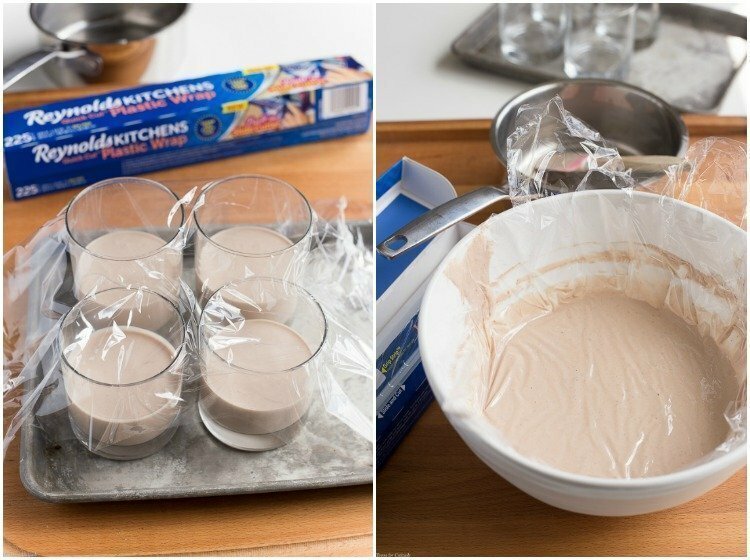 If you are preparing the panna cotta more than 24 hours in advance. Be sure to cover the custard surface with plastic wrap to keep a skin from forming. tbh in the past if you needed to use plastic wrap when making a recipe, something like rolled cookies or even a compound butter, you could count me out. It wasn’t worth the hassle. 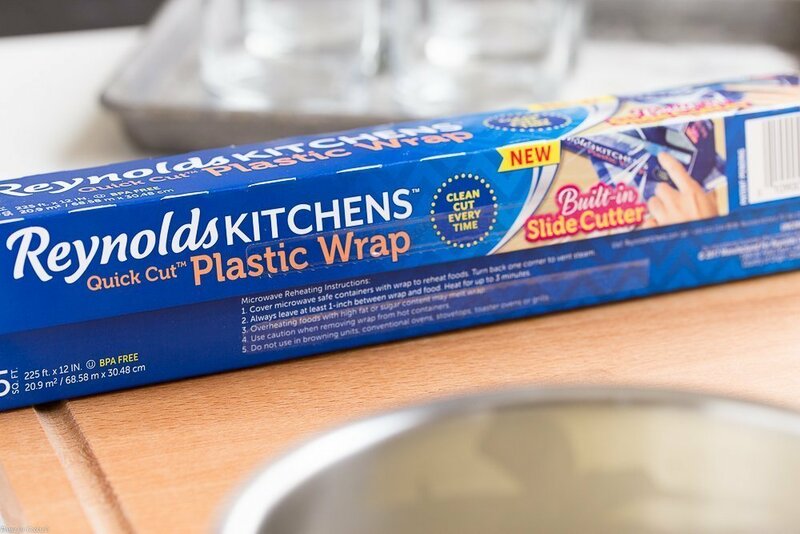 The new Reynolds KITCHENS® Quick Cut™ Plastic Wrap on the other hand has innovative features that make the experience virtually frustration-free! The Starter edge™ makes it easy to find the start of the roll. While the built-in slide cutter gives you a clean cut, every time. Plus each roll is automatically held in place to keep it from jumping out of the package. Anything that makes life less complicated in the kitchen is a win in my book. 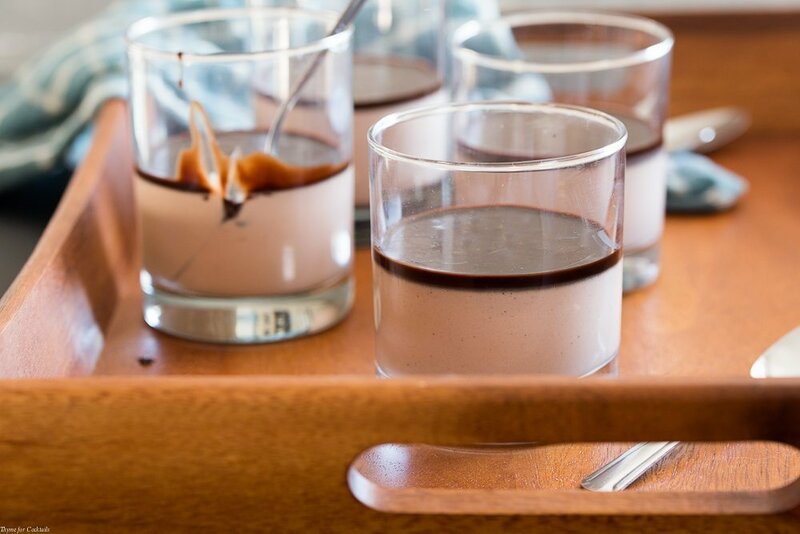 Makes tackling recipes like my Spiced Chocolate Panna Cotta that much easier! 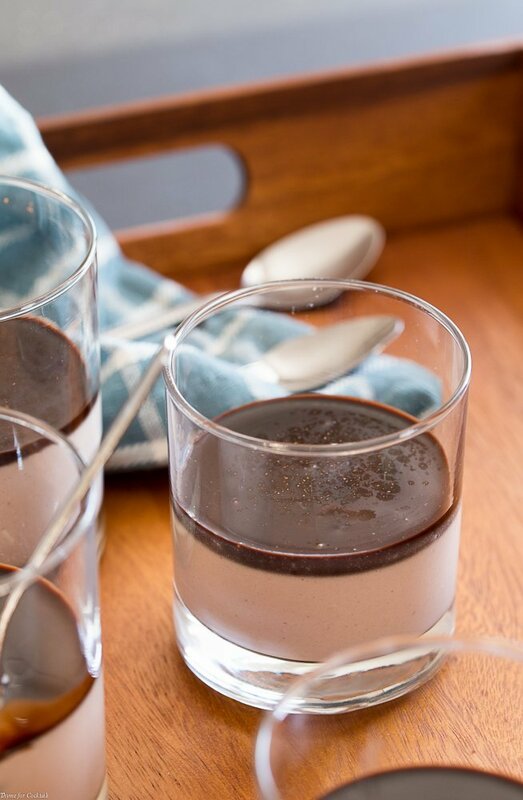 I hope you like this Spiced Chocolate Panna Cotta recipe as much as my crew does. If you love this sweet and spicy recipe, you can find more like it by checking out my Dessert section! For recipe inspiration delivered to your inbox, subscribe to my newsletter, follow my photography journey on Instagram, and for generally inappropriate humor follow like me on Facebook! A slightly spicy version of this classic Italian dessert with hints of rich cocoa and nutmeg. In a small bowl mix together gelatin and 2 tablespoons cold water. Set aside. 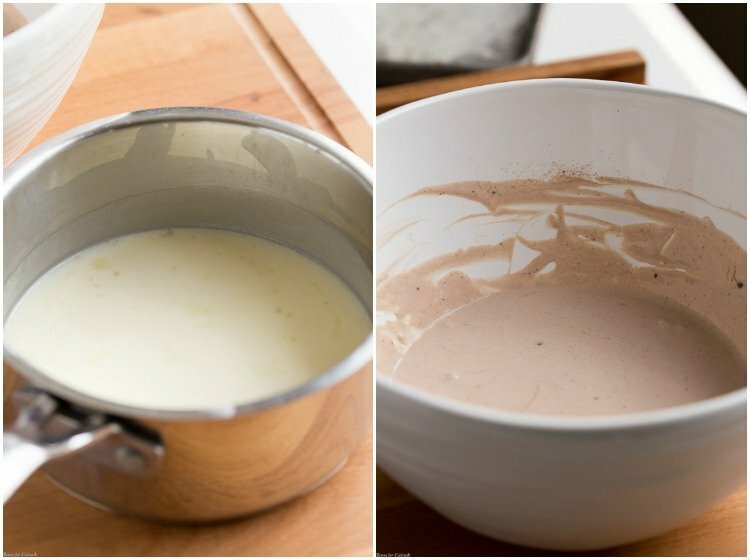 Mix together 3/4 cup heavy cream, yogurt, cocoa powder, and spices in a large bowl. Add remaining heavy cream and sugar to a small saucepan. Bring to a simmer, stirring until sugar dissolves. Remove from heat and stir in gelatin until dissolved. Stir warm cream into yogurt mixture. Pour into individual serving glasses, refrigerate until cold. Cover with plastic wrap, chill at least 4 hours or overnight. Tip - When refrigerating custard or pudding be sure to cover the direct surface with plastic wrap to keep a skin from forming.